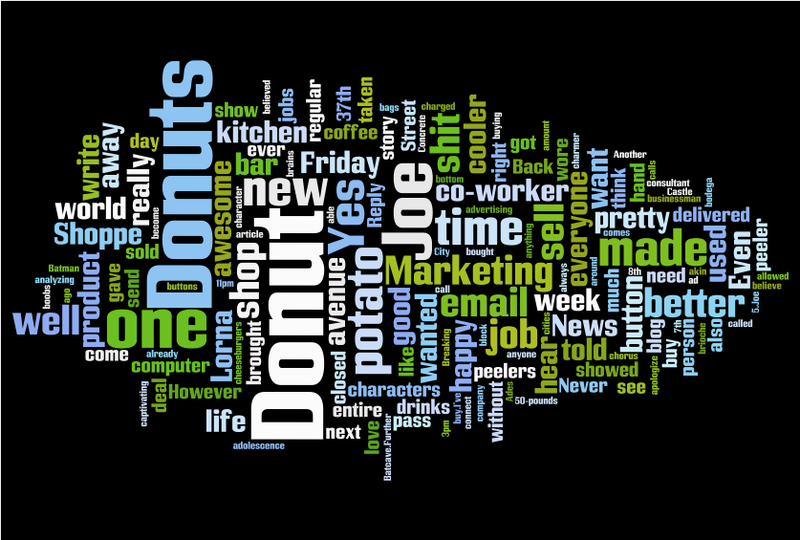 Wordle is a cool new toy for generating “word clouds” from your blog (or text that you provide). The clouds give greater prominence to words that appear more frequently in the source text. You can tweak your clouds with different fonts, layouts, and color schemes. What does this say about me, besides DONUTS? But more interesting, on my 6-year-old son’s blog, these are the words that came up. I’m concerned. I see a fat mother visiting her son in jail.